After a great season in which the Park City High School boys’ lacrosse team won a state title on its home field, several of the players have drawn the attention of big-name colleges. Jackson Burton, a face-off specialist who will be a junior for this spring’s Miner team, recently became another player to commit to the next level. Burton will play for Fairfield University, a private college in Fairfield, Connecticut. Burton said his commitment to play at college is the culmination of years of hard work. "Ever since I started playing lacrosse, I’ve had the intention to play in college," he said. "It’s always fun to play with great competition, so that was a goal, too." Fairfield’s lacrosse program, nicknamed the Stags, has burst onto the national scene lately, finishing among the top programs in recent years. "Their program in the last five years under Coach [Andy] Copelan has stepped it up," Burton said. "They were in the top 20 all year last year. They’re definitely moving in the right direction athletically and academically." And, he added, it’s exciting to see how much support the lacrosse team has at Fairfield. "They just built a new stadium, so they have the full backing of the school," he said. 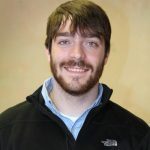 As one of the best face-off specialists in Utah, Burton said his physical style of play should fit in quite well with the Stags. "They have a real blue-collar style of play," he said. "It’s nice to see them go against programs that have been around for a while and beat them. They’ve got a little chip on their shoulders and they’re starting to make a name for themselves." But, before focusing on the college game, Burton still has some goals he wants to accomplish at the high-school level. 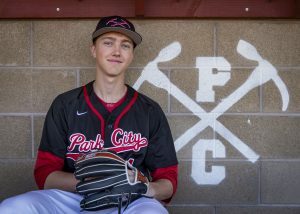 In addition to playing for PCHS, Burton has spent time with club teams like the West Coast Starz, the Utah Blackhawks, 212 and Adrenaline Black Card. He said playing for those club teams really shows how popular lacrosse is becoming in the West. "It’s crazy to see how much lacrosse has grown in the West," he said. "There are so many kids in Utah that are going to play college ball. And it’s been great to have kids in the [Park City] program ahead of me go on to play college ball and provide a good example for me on and off the field." With two seasons left to play for the Miners, though, Burton’s number one goal is two more state championships. "It was a really awesome experience to send the seniors out with a state championship last year," he said. "I definitely want to win another one this year to send out this year’s group of seniors." So, if you get a chance to go out to a Park City boys’ lacrosse game this spring, pay attention to Burton, who will again be handling the face-offs. You won’t see much of him outside of that part of the game, but that’s OK by him — he enjoys every second of what he does. "It’s pretty much like a little wrestling match," he said. "If your team scores a lot of goals, it’s really tiring and hard to stay on the field and play. But, as I developed and got better at face-offs, it started outpacing my field game, so I stuck with it and now I enjoy it." Park City’s season starts on Feb. 27 at the Best of the West tournament in Las Vegas. 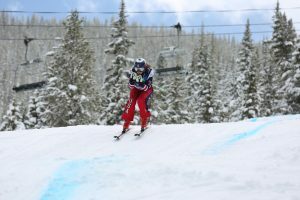 For more information on the Miners’ season, visit http://www.parkcitylacrosse.org.